Jordy Clasie is ruled out with a groin strain, but will be the only absentee due to injury. PREDICTED XI: Forster; Martina, Fonte, Van Dijk, Bertrand; Romeu, Wanyama, S. Davis; Mané, Long, Tadić. GOALS: Romeu - 51'; Ward - 29', Zaha - 68'. 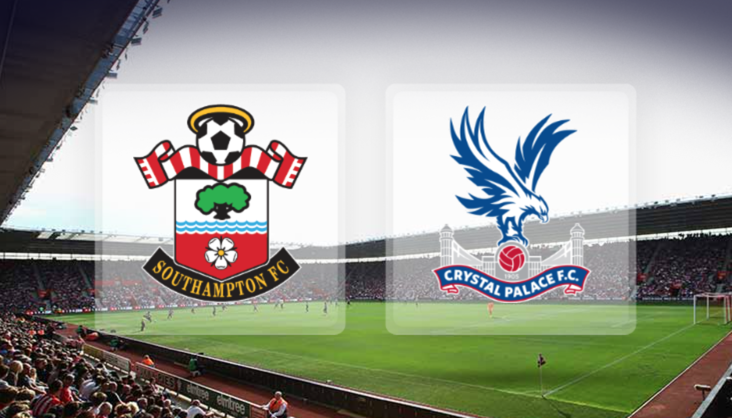 SOUTHAMPTON: Stekelenburg; Van Dijk, Fonte, Yoshida; Martina, Clasie, Romeu, Targett; S. Davis (Tadić - 45'); Mané, Long. Unused Subs: Gazzaniga, Cédric, Reed, Seager. CRYSTAL PALACE: Hennessey; Ward, Delaney, Dann, Souaré; Mutch (Sako - 57'), Ledley; Puncheon, Cabaye (Jedinak - 83'), Zaha; Campbell (Chamakh - 76'). Unused Subs: Speroni, Kelly, Hangeland, Chung-Yong. For a second year running, the Eagles dumped Saints out of the FA Cup. The visitors went in front when Joel Ward converted from Jason Puncheon's pass, sending Alan Pardew's men in with the lead at the interval. Oriol Romeu then slotted in an equaliser in the 51st minute, after Wayne Hennessey could only parry an effort from Cuco Martina. Palace secured progression when Stekelenburg pushed the ball into the path of Wilfried Zaha, who volleyed in to ensure that the Eagles advanced to round four. Ref - Oliver. Would it be rude of us, after our 4th goal has gone in to be asking for more? I'll certainly be asking for more beer throughout the match and after whilst laughing at the skates crashing out of the play offs!